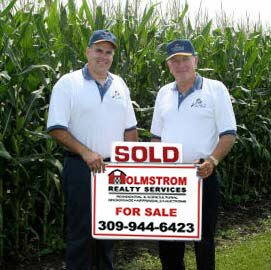 Tim Holmstrom is a licensed General Real Estate Appraiser with the state of Illinois for over 22 years. He has appraised various property types in the past 22 years including residential, agricultural and commercial. The main area that he specialize in is Northern Henry County, Illinois. If you would like to order an appraisal please click on the link below or call at (309) 944-6423. The above link leads off the current website to the appraisal section of Holmstrom Realty Services.